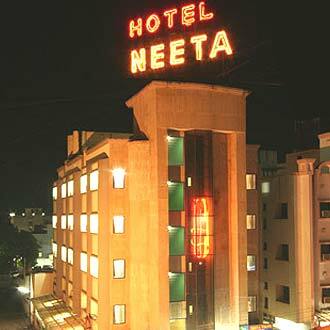 Designed with a capsule-style elevator, this four floors hotel near to the Sai Baba Temple is well-maintained with a parking space within its premises. There are 36 spacious rooms to choose from, that are facilitated with 24hours room service. Guests can enjoy a multi-cuisine fare in the well-defined restaurant of the hotel, which has prominent photo frames of the saint - Sri Saibaba. Guests can avail the airport transportation facility, which is on a surcharge.